IDS Luer Lock Bottle & Cap Packages are classic Boston Round style bottles with matching Luer Lock bottle caps. 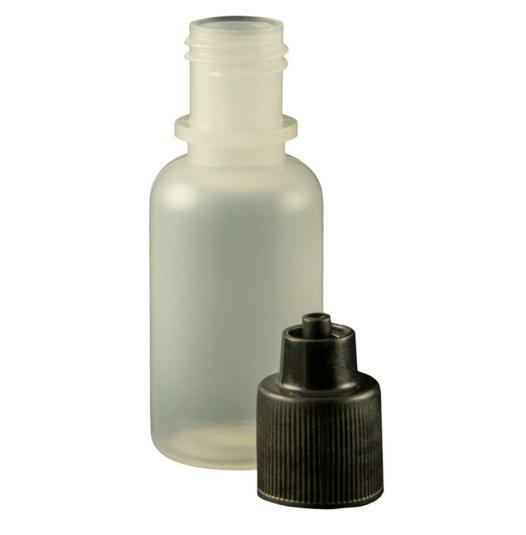 We suggest purchasing the Luer Lock Tip Cap (ordered separately) to seal the bottle back up. 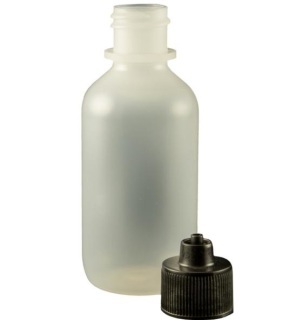 Ideal for dispensing paint, flux, solvents, adhesives, solder mask or any assembly fluid. 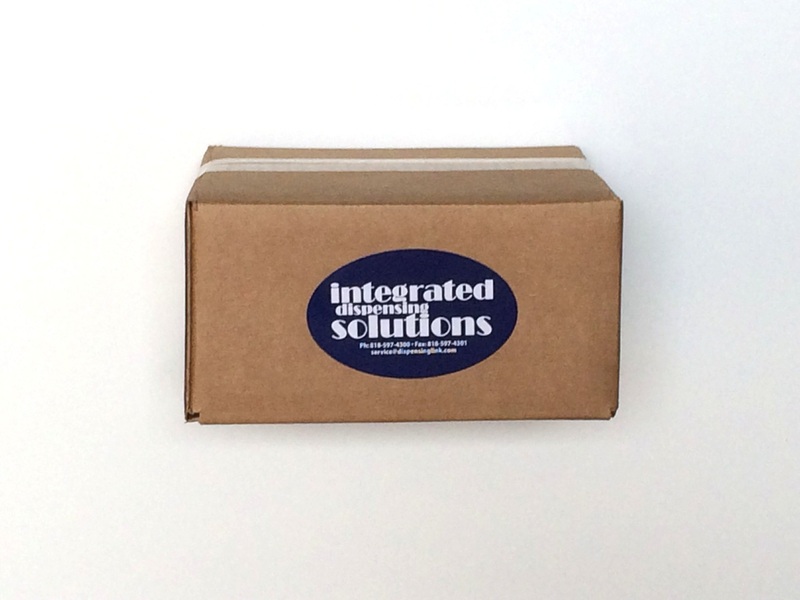 Works best with material that is self-leveling and flows freely. They are made of either LDPE (low density polyethylene) or HDPE (high density polyethylene). Other designs and custom cap colors are available! Please contact IDS for a formal quote. Luer Lock Caps for Bottle Size 15/415 Bottle are made of High Density Polyethylene (HDPE) plastic to fit a squeeze bottle with a standard 15/415 neck. 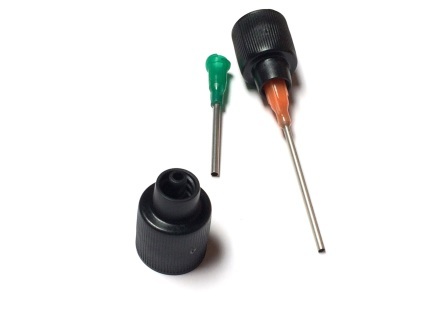 Luer Lock Needles or Tips will thread securely onto your bottle cap, making a perfect low-cost dispenser for a variety of fluids. For storage, without removing the molded luer cap, simply screw on a leak proof Luer Lock Tip (ordered separately) or use your flat cap to seal the bottle back up. 415 Threaded Bottles are very commonly used in flux and other fluids. 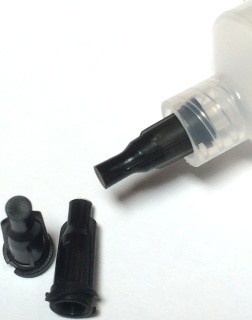 This cap allows you to turn your flat cap into an inexpensive dispenser. Order in bags of 25 or bags of 1,000. ​Other designs and bottles are available! Please contact IDS for a formal quote. Caps stocked in this size only. Bottles are available in box quantities. White available on special order. 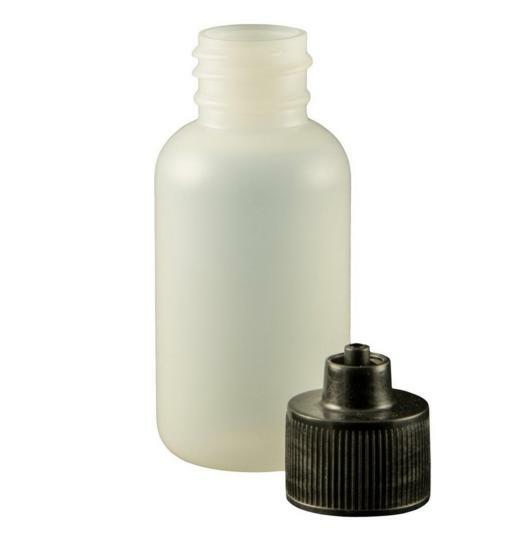 We can offer other sizes of caps and bottles with your written request and specifications.